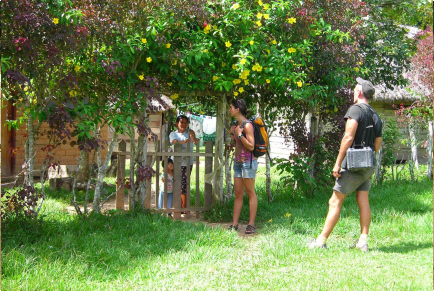 Berraco offers the opportunity to visit a real indigenous community, with more than three hundred years of history, immersed completely in the jungle, San Jose de Uchupiamonas. To get there we need to take a three hour boat journey upstream, and after that it's a brief but scenic walk to the village. From the village, our guests will take a walk around the area, visiting the church, the school, the village hall and the small but vital medical center. You will see how the residents live here; learn about traditional crafts, and be shown how to make wooden masks and beaded necklaces, amongst many other things. As if this wasn’t enough, our guests will be invited to eat a traditional meal in the house of a local, so you can see how the houses are inside, and will be able to see more of this perfectly preserved culture. The company tries to contribute to the community to improve the medical center and the school, making life easier and safer for the villagers. You can help as well, by buying the handcrafted product the villagers make, or by just donating some items that might not seem vital to you, but are very important to the locals; we have a list at the end of this page suggesting items which might be useful. This activity has an extra cost of $50 USD per person. This cost covers the additional transportation upstream, equipment and motor replacement during the dry season. If your group meets the requirement of 5 guests for the 4 day tour OR 4 guests for the 5 day tour when you book, we offer the community visit at no extra cost. 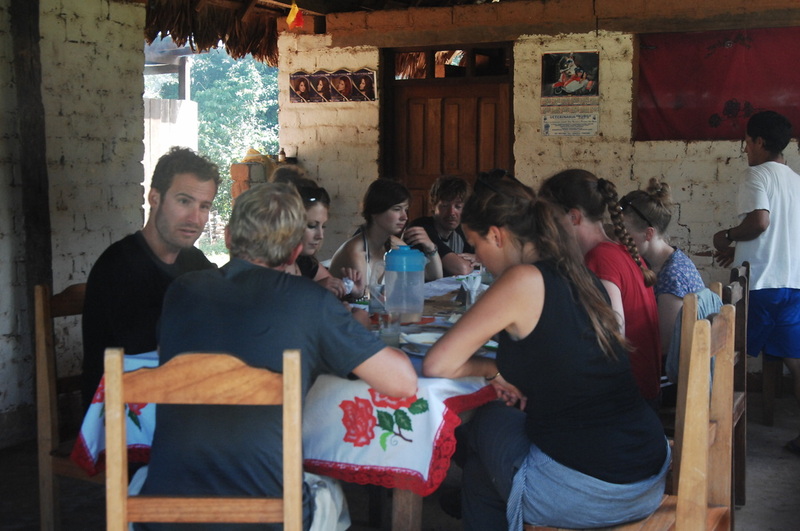 * If your group does NOT meet these requirements when you book your tour, you may of course choose to visit the community for the standard cost of $50 USD per person. You can find some of these items ready for purchase on our Amazon.com wishlist, just search for Berraco del Madidi or berracoinfo@gmail.com. Even the smallest donations are welcome. Medical Materials: "gauze, cotton, tape, etc."